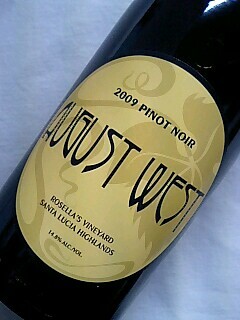 The 2012 August West Rosella’s Vineyard Chardonnay has a medium straw color, and a beautiful nose of nutmeg, coconut, and passion fruit. The tropical fruit nose that is typical of Santa Lucia Highlands Chardonnays is very faint in the early stages of this Rosella’s. 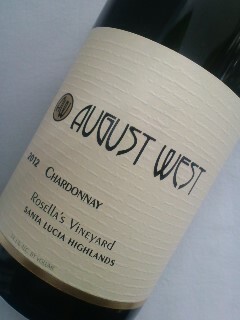 Our ’12 Rosella’s Chardonnay has a rich texture and a lot of complexity on the palate. 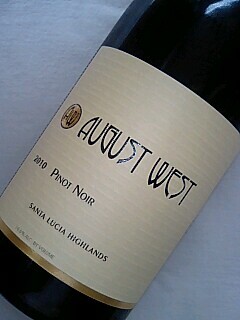 If it didn’t have the natural, balancing acidity that the SLH always gives to its fruit, you might call this a big Chardonnay. The prime drinking window for this should be from 2014 through 2019. 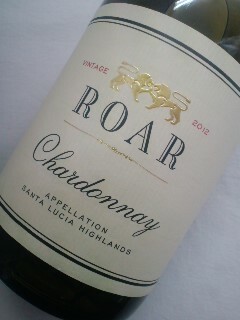 Our final vintage of Chardonnay from the Treehouse vineyard in Russian River Valley is the 2011. It was an atypically cold summer in the RRV, and in all of California, but the relatively early ripening Chardonnay didn’t seem to notice. We brought in barely one ton on October 4, and the fruit was inperfect shape. 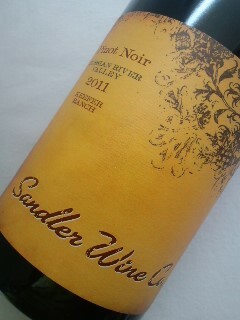 It fermented quickly in barrel, and spent the next 14 months aging on its lees at our winery in San Francisco. 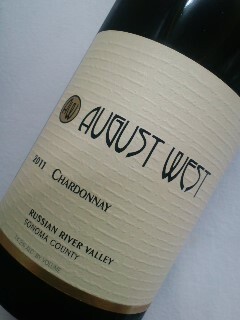 The 2011 AW Russian River Valley Chardonnay starts out with a fragrant nose of peach blossoms and hazelnuts, and is surprisingly ripe on the palate, given the cool vintage. The long, spicy finish predicts it should be at its best from late 2013 through 2015.